Located in Foxpoint Coastal Village in Encinitas, this pristine 5 bed, 3.5 bath home is set on a large 14,900 sq.ft. lot. 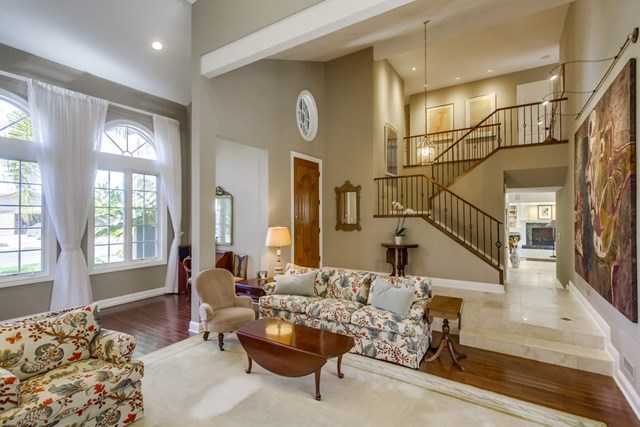 Elegant home has gleaming wood & Italian tile floors. The stunning kitchen has Viking stove & appliances, center island with warming drawer & wine cooler flows to the great room & breakfast nook, and a timeless formal living & dining room around the corner. Dual masters – one up/one down. Resort-style backyard features a pool, spa, fruit trees, Koi pond & BBQ. Owned Solar. Ocean views!